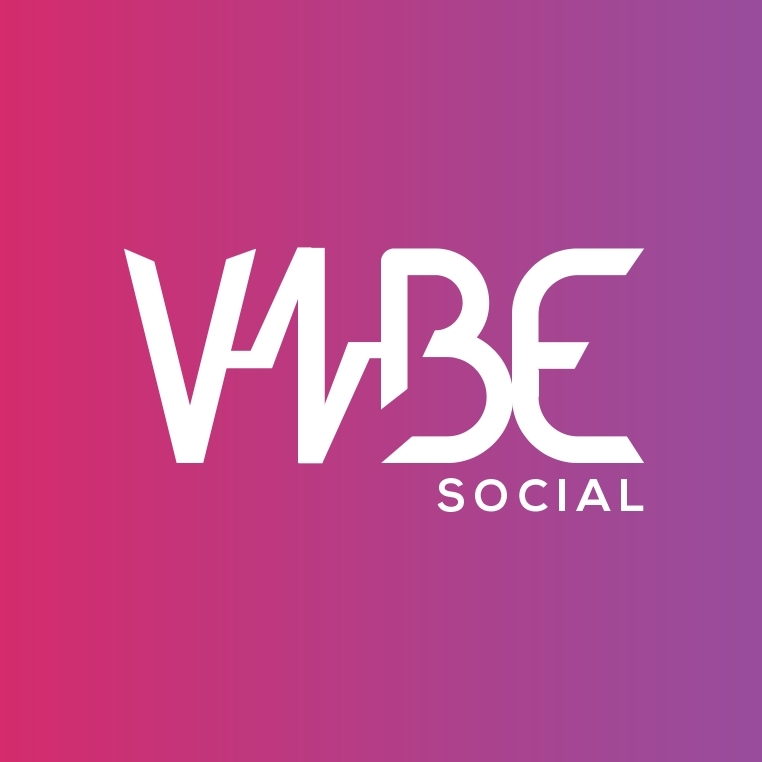 VIBE Social / Influencer Marketing / What is an Influencer? An influencer is someone who carries influence over others. As the world has become more connected through social media in recent years, we have seen a rise of social media influencers. A social media influencer is someone who wields that influence through social media to their hundrends, thousands and even millions of followers. Through social media the more followers a person has, the more likely they are to hold influence over others, meaning the products or brands they use and enjoy will most likely be used in turn by their audience, whether it be clothing, make-up, technology, apps or much more. Influencers can be found on multiple social media platforms such as YouTube, Twitter, Instagram, Snapchat and Facebook, reaching audiences that brands may not be able to reach otherwise due to their online influencer status. Influencers can also have different levels of audience reach and influence, for example a mega celebrity name such as Kylie Jenner (@kyliejenner), who has 96.6 million followers on Instagram and can make up to $400,000 (£320,384) for a single post. Influencer status is not just limited to celebrities but also to popular online individuals, lifestyle vloggers and bloggers like Keira Rose (@_kiera_rose_) who has 74.3k followers on Instagram, 12.9k on Twitter and over 220k YouTube subscribers who will be influenced by her post by post. 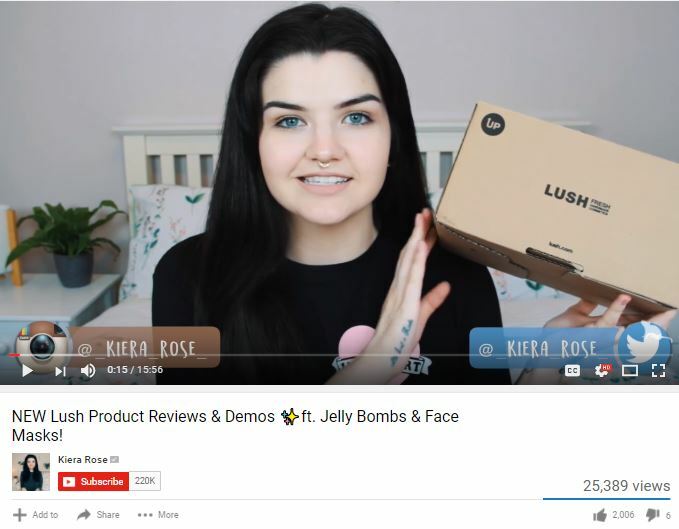 For example, Influencer Keira Rose regularly reviews and endorses of Lush products, these YouTube videos getting thousands of views. Marketers for a long time have understood the power of the influencer. Influencers have taken on a more prominent role in the marketing strategies of brands with $225 million spent on influencer marketing every month. Data from the influencer marketing platform MuseFind shows that 92% of consumers trust an influencer more than traditional adverting or celebrity endorsement. Social Media Influencers are becoming ever more desirable by big brands; a survey of U.S. teens made by Variety in 2016 found that YouTube creators took the top 10 spots in a survey of influencers, outranking traditional big celebrities like actors or musicians who are being replaced by YouTube influencers like KSI and PewDiePie. This is perhaps because these YouTube creators represent a more authentic and accessible personality which followers trust and feel genuinely connected to as opposed to more big names. Because of this interpreted closeness with online influencers, they tend to have a more focused and loyal audience which pays more attention to their posts and are more likely to take their advice or recommendation, meaning that if the right brand approaches them they’ll be reaching their target audience with ease. Working with social media influencers can enhance a brand’s reputation, credibility and reach with extremely effective results. Research has stated that 49% of consumers look to social media influencers for advice or recommendations when it comes to purchases, and nearly 40% of Twitter users said they had made a purchase as a direct result of an influencer’s recommendation, showing just how much influence social media influencers really have over their followers. Similarly with Instagram, micro-influencers with slightly fewer followers (in the thousands or tens of thousands rather than the millions) had followers who were more engaged with their posts. Markerly found that these micro-influencers had a more focused audience in terms of their interests. For example, a fitness blogger is going to have more success marketing fitness products online because that will be the key reason their followers are interested in them, whereas big celebrities’ followers will have more varied interests so although more may see the product, less are likely to be directly interested in actually purchasing it. Getting the right influencer to engage with your brand or product provides invaluable reach and credibility not only to a large audience but one which is relevant to your product.